This chapel was demolished to make way for the Rising Sun island; if it were still extant today, it would be stood in the centre. Taken from ‘Memories of Brownhills Past’ by Clarice Mayo & Geoff Harrington. 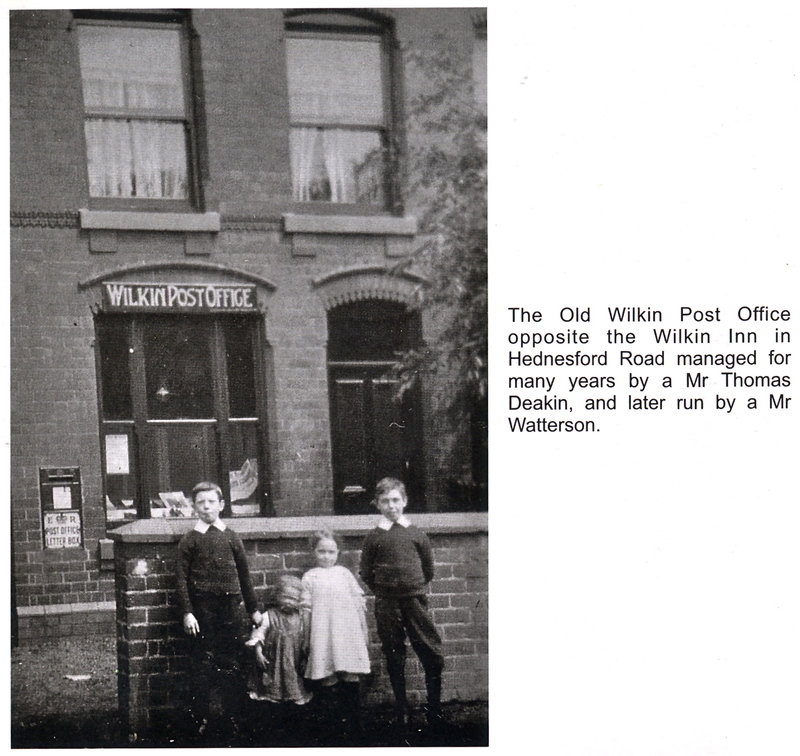 Locals will note that although this Post Office closed a while back, the shopfront hasn’t changed much – last time I passed it was still pretty much as it is in this picture. If I recall correctly, there used to be a small sorting office at the back. I’m sure I can remember going there in the mid-90’s to collect a parcel. 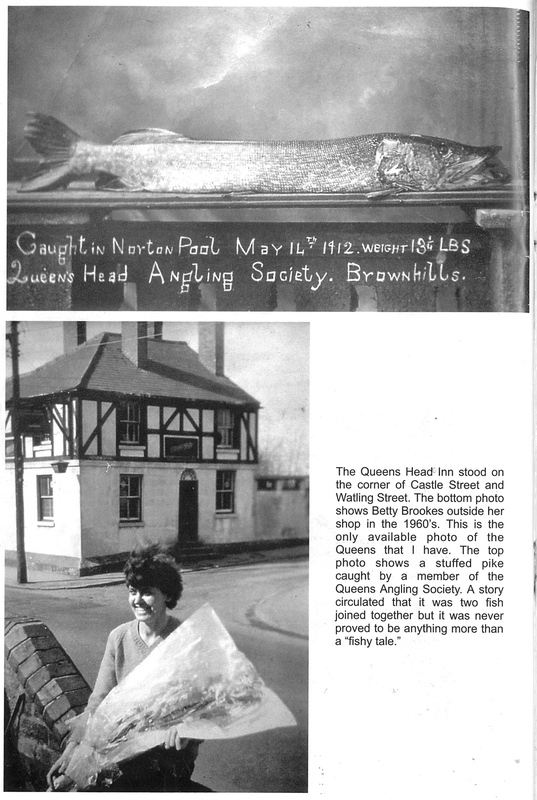 Taken from ‘Memories of Brownhills Past’ by Clarice Mayo & Geoff Harrington. Spot the buildings that still remain – I think there are one or two still present. 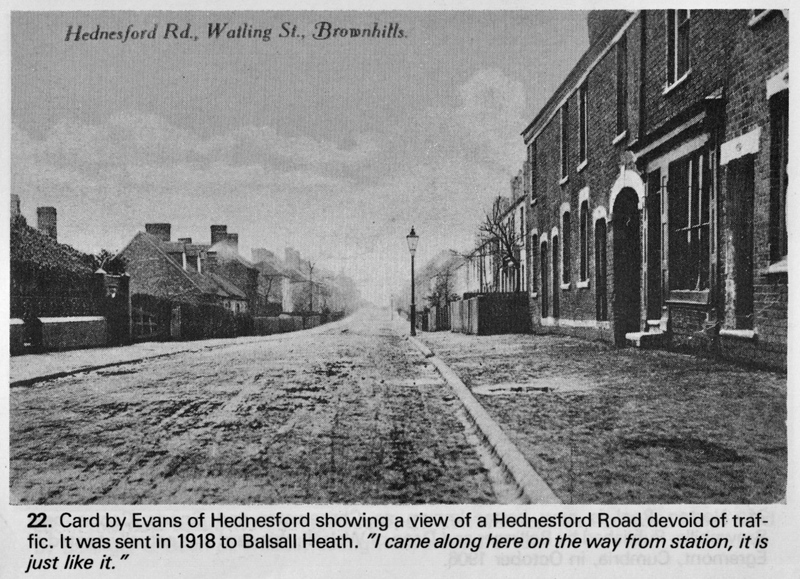 From ‘Brownhills and Walsall Wood on old picture postcards’ by Jan Farrow. This one has me mystified. I certainly don’t remember this pub, but the building looks quite familiar. Who was Betty Brookes and what did her shop sell? Was she the same Brookes that owned the clothing shop in the High Street in the 1970’s? What became of the pike, is it still around? Taken from ‘Memories of Brownhills Past’ by Clarice Mayo & Geoff Harrington. 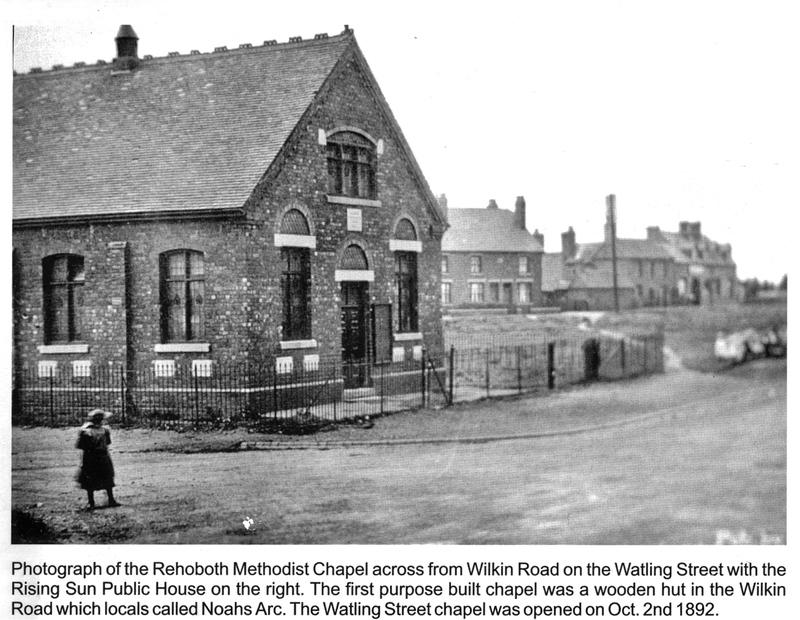 This entry was posted in Brownhills stuff, Churches, Followups, Interesting photos, Local History, Local media, Shared media, Shared memories and tagged Betty Brookes, Brownhills, Brownhills West, Castle Street, Hednesford Road, Local History, New Photos, Queens Head Inn, Rehoboth Methodist Chapel, Rising Sun, Rising Sun Island, Staffordshire, Stuffed Pike, Watling Street, Wilkin, Wilking Estate, Wilking Post Office. Bookmark the permalink. The Brookes clothing shop on the High Street was owned by Harry Brookes, who lived at Sandhills. I remember “The Celebrated Harry Brookes” emblazoned above the shop window – and I knew his son Dave very well. The Queens Head pic brought back so many memories.I’d forgotten all about it, and the shop across the road. My gran lived in Castle street, and as a little girl, l can remember trying to walk around the sloping wall around the bottom of the pub, without slipping off. l think the shop was a general store selling food and everyday things, but my main memory was the sweets and l think you had to go up high steps to the door? Watling Street wasn’t a dual carriageway then, but it was the busiest road l’d ever seen,wider than normal with lorries thundering past so fast, it was an absolute no no to attempt to cross the road without an adult. Just along from the pub towards where the shops are now was a chippy. the shop a cross the road, on the A5 belong to Ken & Bet Brookes, in the 1950s 60s who are still alive, into there 80s now. I remember having chips from Jinny’s as a young kid 🙂 and remember standing outside the Queens. I think they had an outdoor but I can’t be sure. Hi! I don’t know who Betty Brooks is. I was born in the 90’s. But My aunt and Uncle own that house which used to be the shop. I asked my dad because i’ve stumbled across this page before, coming from Brownhills myself. The shop used to sell Sweets and Footballs. The pub is now Bungalows, in which, my nan resides in one. But i have no idea who the shop owner was. Huh? Slight error there, They used to own the house. They were married, then moved out to a different home. Sorry about that. I remember the Queens Head . I was born and brought up in Castle St. My dad ( Frank Murcott) would go down to the Queens many evenings with our little dog Sooty . The dog went off ahead and by the time my dad arrived his pint was in the bar. I had my first records from the pub when they used to sell them off when they were done in the juke box. I also remember Betty Brookes and her husband Ken ?? I used to go to the shop . Think they sold grocery items and sweets and cakes but I may be wrong ?? There was also a sweet shop along from the Queens run by Mrs Dean . Then of course Ginny’s fish and chip shop . Such happy memories of my childhood there .